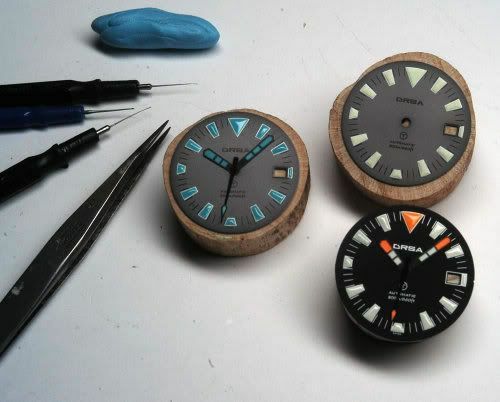 Everest Watchworks has made their specialty to restore luminous coatings and create original dial designs. Kent Parks interacts with the client to achieve the most satisfactory result. The man has become a reference in watch modifications and there is a rather long waiting list, but it is worth the wait. Everest Watchworks also offers modified stock watches, but the customer’s input is always welcomed. Don’t send your watches to this guy unless you live nextdoor to him. I sent him a Deep Blue, a 32 Degrees and a Momo Design for relume work. It will be a year next month since I sent them. I paid him in full and have emailed many times. No response. Many others testify to experiencing the same treatment. I’ve already come to terms with the fact that I won’t be seeing my watches again in this lifetime. He gets the watches AND the payment, and that’s all she wrote. I’m ecstatic that I didn’t send him any of my pricier watches. What a way to run a business. Let others be forewarned.